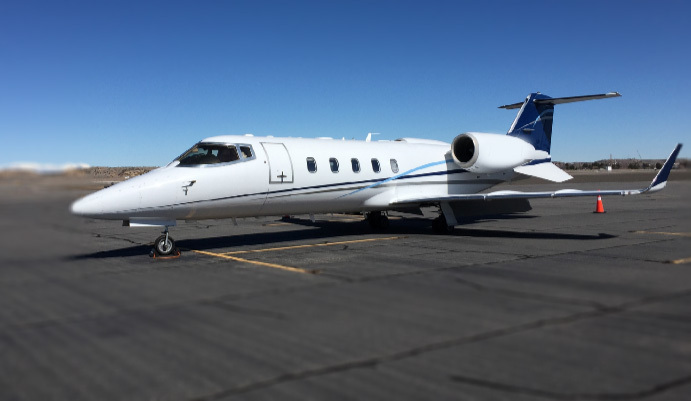 Lear 60 on the ramp in Farmington, NM. Waiting on some business folks to return. 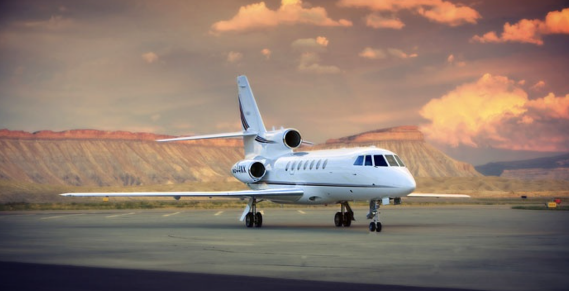 These two cousins are titans of the bizav world, and, both are hugely popular to own or charter. 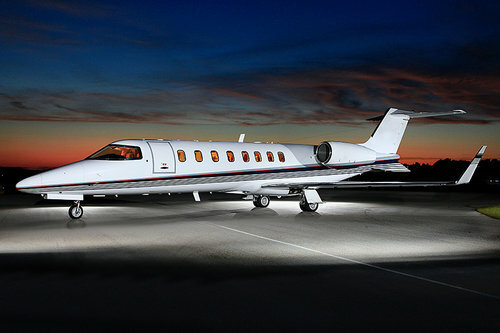 The Lear 60 is the largest production Learjet ever made. A larger model 85 made it to prototype, but that line was squashed in the Great Recession. The newer 60XR version is the exact same plane as the classic 60, with upgraded avionics, reconfigured interior and a beefier braking system (which many classic 60s have been upgraded to include). There have been over 600 Lear 45s made (versus just under 400 of the 60) and a 45XR version provides an engine modification that gives higher takeoff weights, faster cruise and better rate of climb. Today, the Lear 75 is basically the same as the 45 with modernized engines and enhanced winglets (and therefore better performance and efficiency) and different avionics. A model 40 and 70 were made, each of which were simply smaller versions of the 45 and 75, respectively. Both climb fast to altitude (better to get away fast from the heat, the bumps and other planes) and are respectably fast. 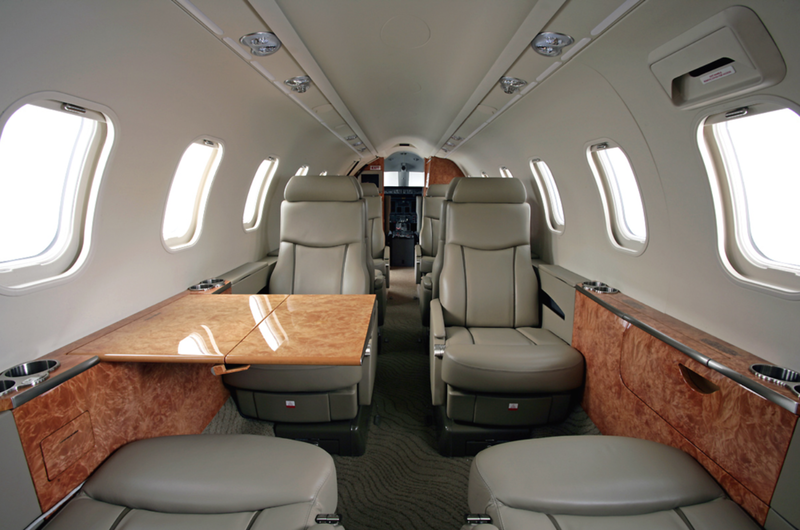 The Lear 45 has 8 seats standard and the Lear 60 has 7, though each can accommodate one more passenger on the cushioned and belted potty. I've personally flown the 60 with 8 businessmen –they put the smallest on the on the potty (the flight was less about an hour so no one needed to, shall I say, unseat him). I helped a friend charter a flight to a concert for 9 folks on the 45 with (the smallest) one passenger in the lav (again, less than an hour flight, and, lots of beer to sooth any ill feelings). Oddly, the smaller-interior 45 has a bit more baggage room. Simply put, the 60 is much roomier – with a 5’7” cabin height v. 4’11” on the 45. The 45 seats are slender, the 60’s are more comfortable. The 60 has longer legs and can run about 2,300+/- statute miles, or, about 400 miles further than its smaller cousin. With a little digging, you can sometimes find a 60 for nearly the same charter cost of a 45. Now this is tailgating. I spotted these two tails on a recent trip to Anguilla. 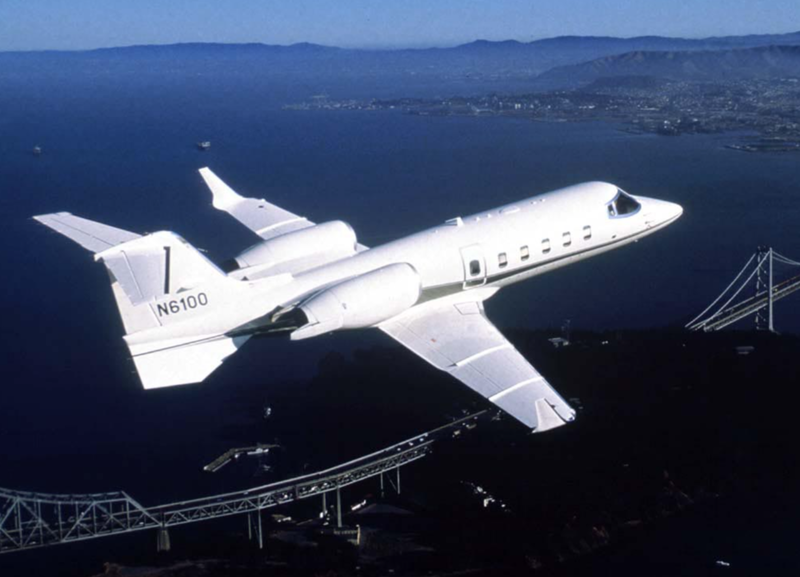 Both were Lear 60s, and you know we love Lear 60s. Notre Dame tail was in Anguilla and the University of Michigan was in San Juan, P.R. Not sure if they are part of the colleges’ flight departments or simply fanatic fans. Based on the fact that they were, ummm, in the Caribbean, I’m kind of thinking the latter…. G650ER, beautiful inside and out. Dream big or go home, they say. Here’s is a walk-through of the G650ER’s interior, providing insight to the comforts given to the passengers. 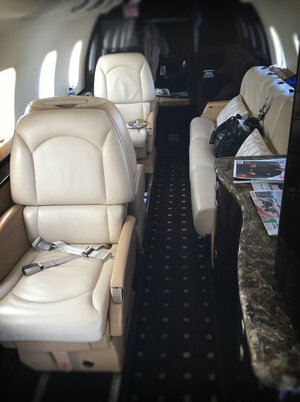 I recently had lunch with a couple buddies who fly a G650. I asked their thoughts on its best characteristics, from a pilot’s view. Number one: speed. They say they can make it to London from Houston about an hour faster than the airlines. If fact, the last time they flew overseas, an airliner on the over-ocean frequency asked what type of plane just passed overhead and what their speed was, “G650, Mach .9”. The next best thing is the ability to fly non- stop to so many destinations. Having to stop for fuel is a time-waster, plus, picking up an additional clearance and coordinating entry onto the over-ocean tracks is a pain. The SkyView Panoramic Window—the largest window available for any passenger jet—will offer Boeing Business Jet passengers an expanded view of the world below. At 54.5 inches by 19.5 inches, the SkyView is slightly more than three times wider than a standard window and about 40 percent taller. Boeing will be able to install as many as two pairs of the windows (each directly opposite the other) in a choice of locations aft of the wing. The windows are made of acrylic and produced by GKN Aerospace’s Fokker Technologies division, which has supplied all Boeing windows since 1996. Fokker treats each window’s surface with an abrasion-resistant coating so that it remains clear. Custom blinds can be installed, in case the window allows too much light into the cabin. This article first appeared on RobbReport.com. For more from Mary Grady, click here. "Tail art" as it's referred to in aviation is just that; embellishing the aircraft's horizontal stabilizer with art. Company logos, colors, insider references--they are all fair game. Here are some that have caught my eye recently. See if you recognize any.